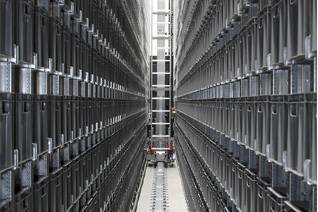 AR Racking is exhibiting at LogiMat 2016 Industrial Trade Fair for Distribution, Materials Handling and Information Flow, held in Stuttgart Germany, March 8th – 10th , where we will demonstrate the added value we can offer in a strategic partnership, as a storage solutions provider and manufacturer. The event is dedicated to the supply chain and is the largest IntraLogistics annual exhibition in Europe. LogiMat provides buyers, specifiers, end-users, consultants and the trade, the chance to share innovative solutions, new technologies, new products and networking opportunities. 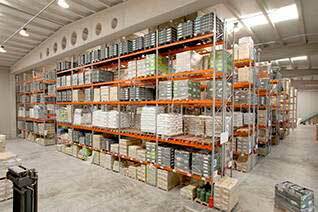 On the AR Racking stand in Hall 1 stand number 1K 37 we will show a wide range of storage solutions and our staff there will offer expertise and experience to help make projects “future proof” by allowing for changing markets, and changing conditions, through utilising design flexibility and product adaptability. To support our sales teams at AR there is a strong demand for quality and innovation in technological development. This has been a key factor in allowing the company to develop a greater presence in a demanding market like the German one, through our distributor network. 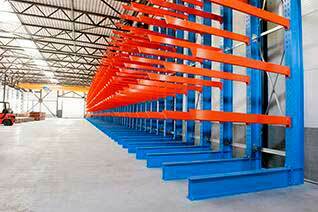 AR Racking is an international company with a strong export culture and a commercial presence in 35 countries. We are part of the Arania Group of companies which has diversified into various market sectors, but stayed close to its roots in steel processing, where it has over 75 years’ experience. Please do not hesitate to contact us for more information on our products and services, or for an invitation to the exhibition!